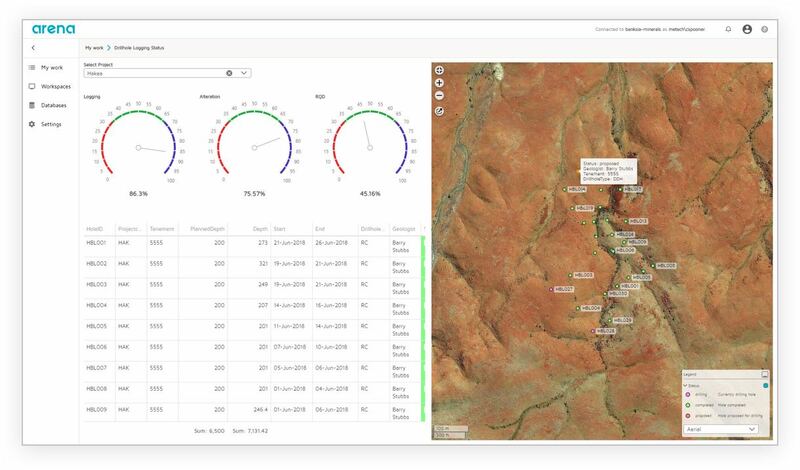 GIM Suite 4 puts acQuire customers on the road to the mine of the future by introducing a range of new features for smarter, streamlined geoscience data. Give everyone in your business access to the information they need with greater visibility of your geoscience data assets. GIM Suite 4 introduces an all-new interface called Arena. 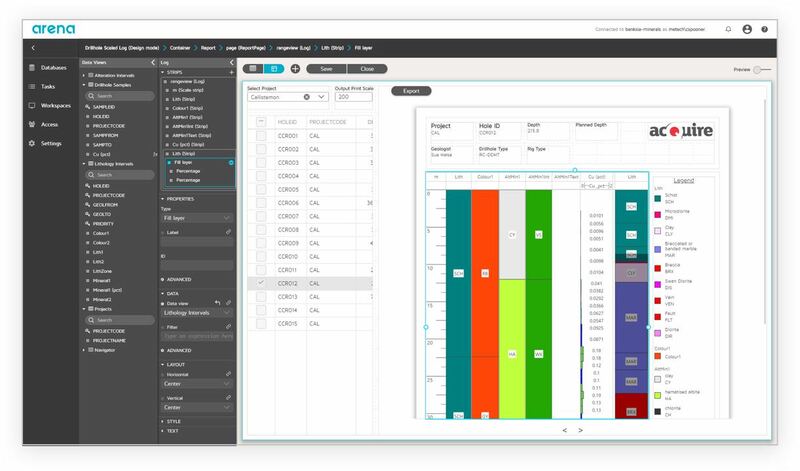 It consolidates and builds on the capabilities previously spread across Neo Desktop and Neo Web, into a smarter, streamlined user experience for GIM Suite administrators and end users. 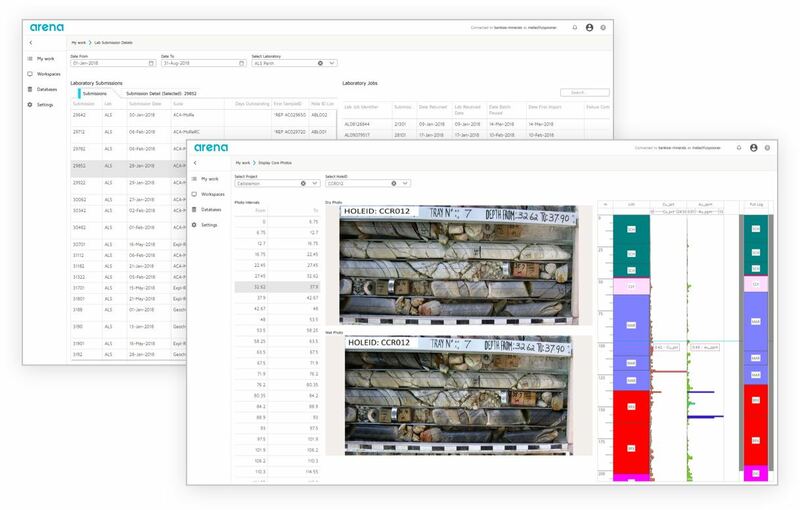 Arena brings the ability to configure interfaces and work with complex geoscience data in a web environment. 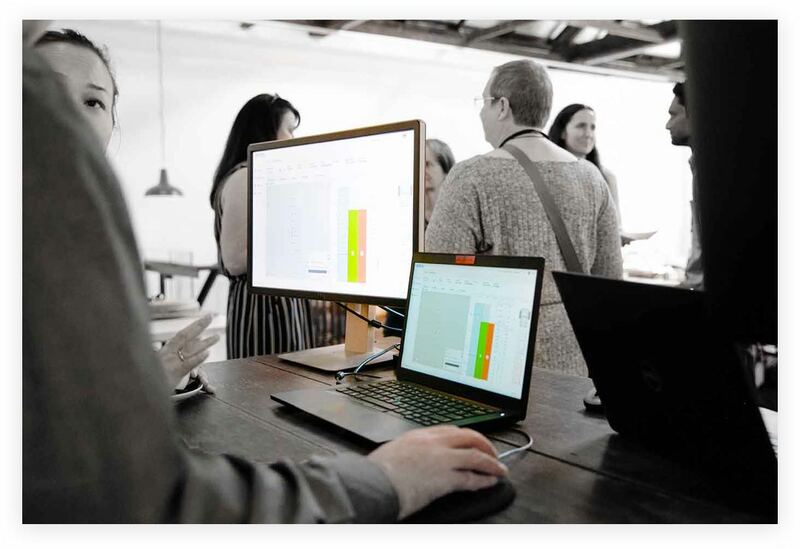 Database administrators can now use web-based tools to build sophisticated, interactive dashboards composed of multiple elements such as data grids, maps, charts and logs with new design capabilities. You have the power to decide how you want your data displayed for your teams in interactive web reports. Companies need to create and print scaled logs for a range of industry requirements. From matching preferred company formats to meeting legal requirements, you now have the flexibility to create printable, scaled logs in your chosen format. Get connected. More third-party software integrations. Enhanced, web-based integration between GIM Suite and Coreshed now gives you better performance to view core imagery in your scaled logs. Data generated from Imdex Limited’s sensors flow from the field directly into GIM Suite 4 providing a fast and transparent data exchange. Consistent and rich meta-data is included in the transfer, providing chain of custody information from the field to the database. View our handy technical articles to help you get up and running sooner with our latest release. We’ve added new course content to help GIM Suite users keep pace with our latest technology. Looking for our previous releases?